Lev’s years of expertise working with corporations of varying sizes across industries has given him a keen insight into helping companies continue to grow. His hard work and determination in the mortgage industry, property management, development, and marketing has served him well in his understanding the specialized needs of his clients. As a commercial real estate broker, Lev has grown a reputation in the industry as one who strives to satisfy those he works with. Lev’s expertise in leasing retail centers both large and small, as well as dedicated efforts in the selling and leasing of a wide range of industrial properties, and sales of large retail box assets makes him a strong player for developers, owners and tenants alike. As passionate as Lev is about his career, he is equally committed to the community. He is involved in mentoring young athletes through his coaching, as well as in organizing and operating many ice hockey camps in the area. 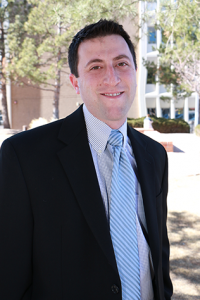 Having graduated with a BSBA from the University of Denver’s, Burns School of Real Estate and Construction Management, Lev’s well-rounded layers of experience has benefitted him and the community.